first one, so much better! Depressing with a capital D, D, D! Readers who haven't enjoyed the excellent book of Firefly Lane and learned to love the characters would have great difficulty sloshing through the river of depression of all of the characters in this book. 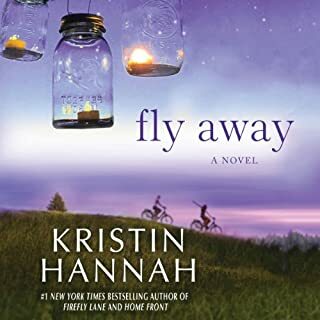 Fly Away is not a stand alone book. What made the experience of listening to Me Before You the most enjoyable? This book is very difficult to pause. I wanted to listen to it all the way through in one sitting. The book showed how people live differently depending on job skills, education, and money yet, no one is exempt from struggles and difficult decisions. Your sympathy was with both families. Being unable to make decisions for ourselves is difficult on occasion but for Will it was a constant way of life. Then, he made the most important decision of all. Louisa put so much effort into making life better for Will no matter how uncooperative he was. He definitely was uncooperative. She never gave up. Which character – as performed by Susan Lyons – was your favorite? Louisa Carter was terrific as the caregiver. I loved the way Will called her "Carter". Susan Lyons did an excellent job of portraying her as well as the other characters. She was spot on with Camilla, Nathan and Louisa's family. Susan brought out all emotions. 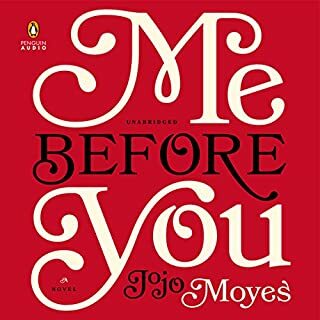 If you could rename Me Before You, what would you call it?